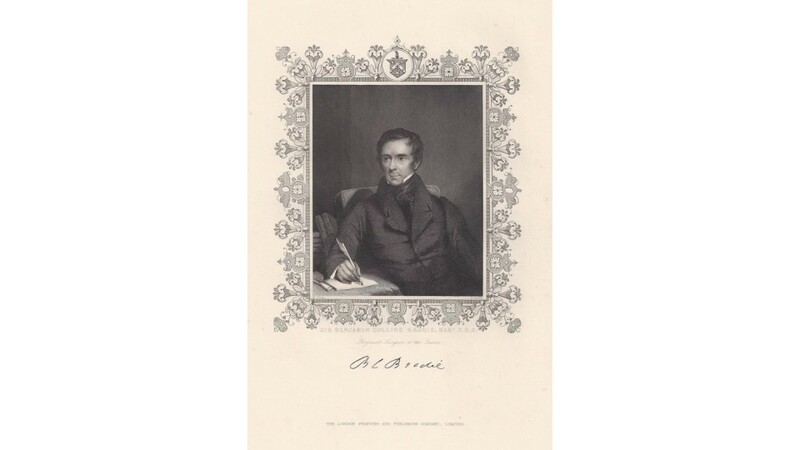 Sir Benjamin Collins Brodie, 1st Baronet (1783 - 1862) was an English physiologist and surgeon who pioneered research into bone and joint disease. He received many honours during his career and attended to the health of the Royal Family, starting with George IV. 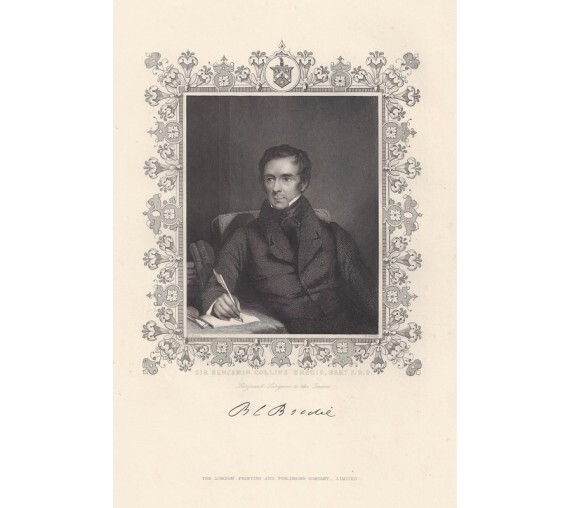 He was also sergeant-surgeon to William IV and Queen Victoria and was made a baronet in 1834. He became a corresponding member of the French Institute in 1844, DCL of Oxford in 1855, president of the Royal Society in 1858 and subsequently, the first president of the General Medical Council. 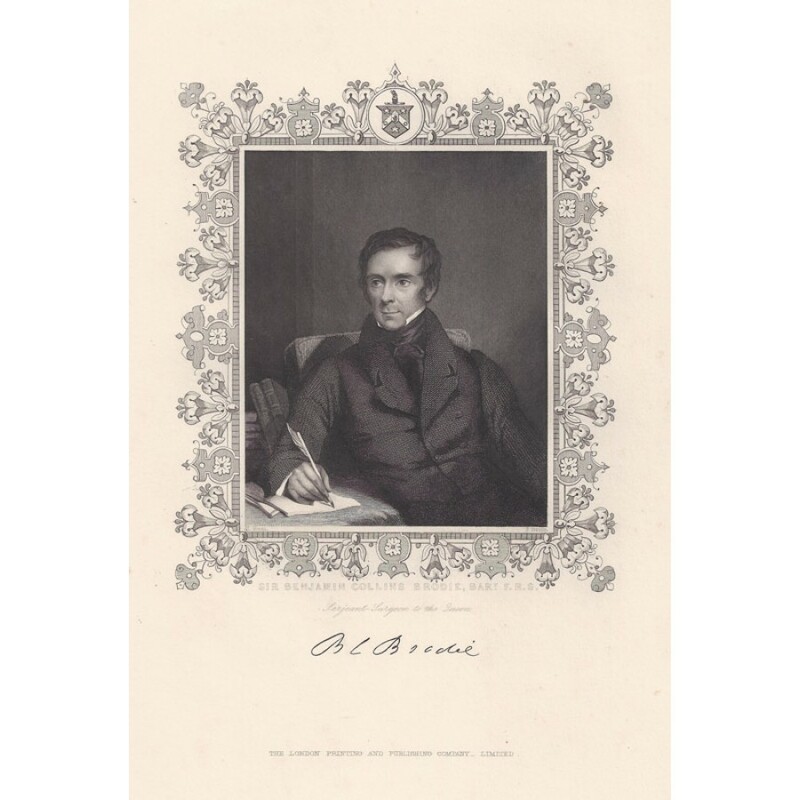 In 1858 Henry Gray dedicated his work Gray's Anatomy to Sir Benjamin Collins Brodie.